And if you want to take the "coin" out of coin operated pool tables, look no further than the industry leading Matrix bill acceptor unit. 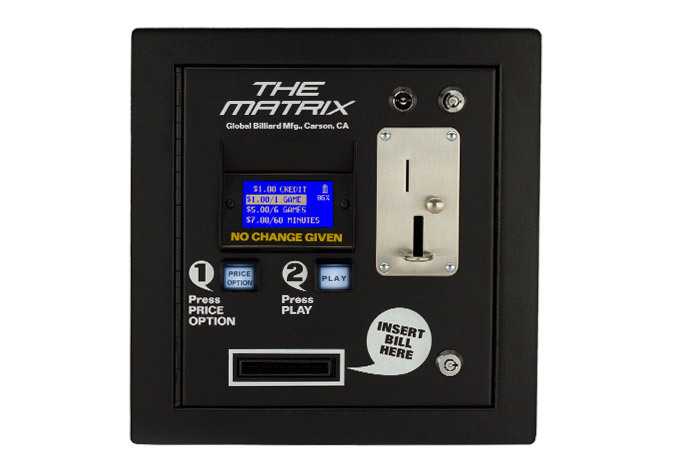 The seasoned Matrix bill acceptor unit features proven and easily programmable electronics that allow for a variety of pricing options such as single game, multi-game, and time play. And with its on board real time clock, standard pricing can seamlessly transition between three Happy Hour and three Free Play periods. Secure mobile payments are now made possible by pairing an optional PayRange BlueKey with the Matrix. 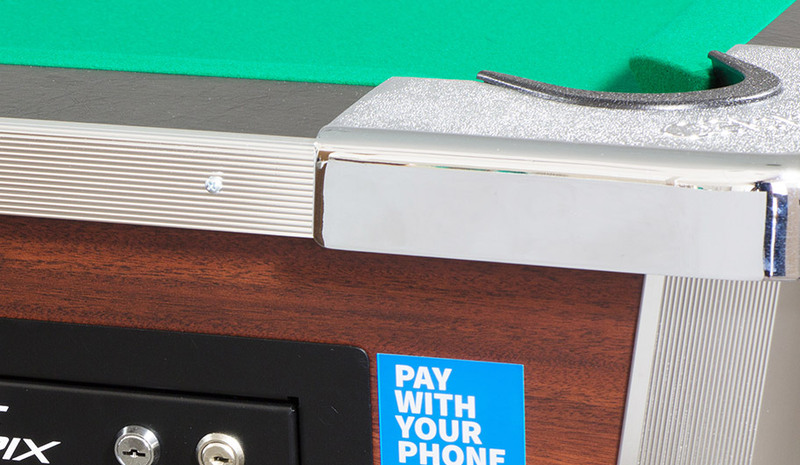 Yes, now your customers can pay with their phone! Players appreciate the Challenger’s CNC machined rails, league cut pocket openings, and heavy poplar cushion blocks which result in superior banking and rebound accuracy. The simple, sturdy and durable cabinet is available in either a mahogany or black laminate finish, and the rails on all tables feature a textured black laminate finish. The Challenger is available in three coin and bill acceptance configurations, and 7' and 8' sizes. Shown with Championship Green cloth, but a full range of other colors and styles is also available, including cloth from Simonis. Chrome corners bolt through the solid hardwood poplar rail, resulting in better ball response that is consistently true. 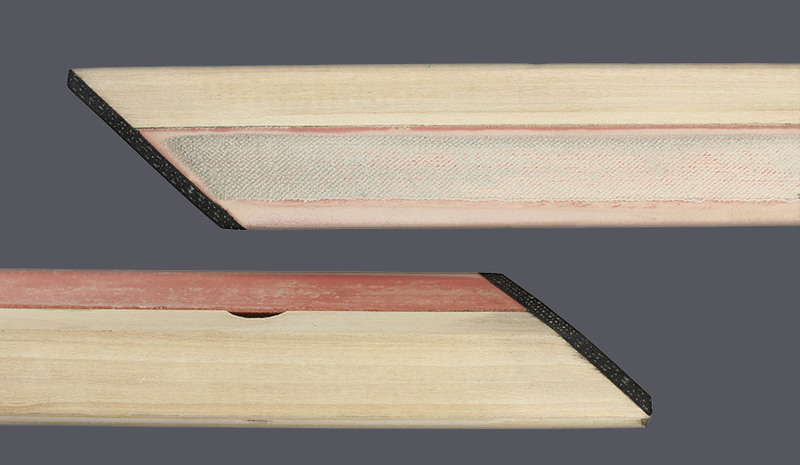 Extruded plastic ball runs have enlarged cutouts allowing chalk to fall through at all angles, reducing ball jams. Largest cut outs in the industry. Heavy poplar cushion seats and oversized 5/16” rail bolts result in the best playing "split rail" coin operated table available. It’s no longer necessary to remove the ball view door for free play! Simply turn a key. Great for tournaments, promotions, or renting the table by the hour. Precision engineered magnetic cue ball separator has no moving parts, and the beveled magnet design ensures the cue ball is consistently separated from the object balls. Standard equipment includes an Aramith tournament magnetic cue ball, which is the exact same size and weight as the object balls. Simple, flawless operation. 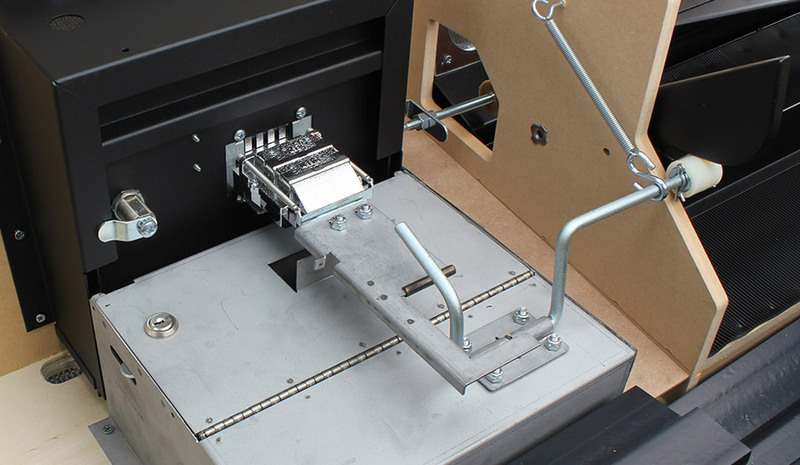 Modular coin box housing eliminates expensive repairs. 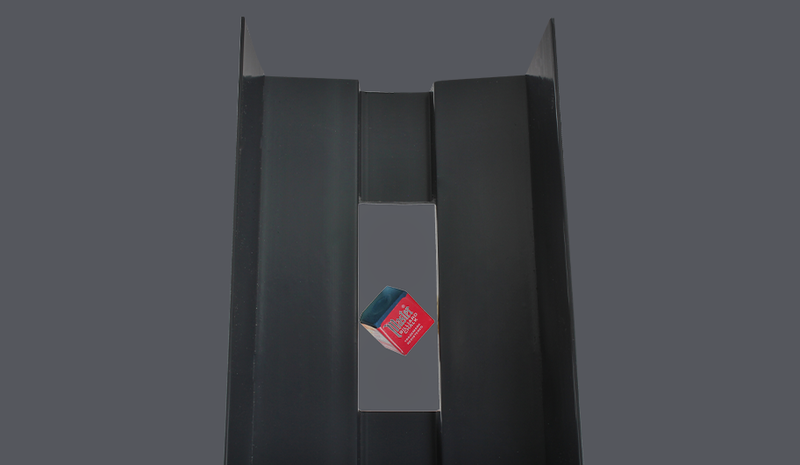 The coin chute door and housing are constructed of heavy gauge metal, then powder coated for superior durability. 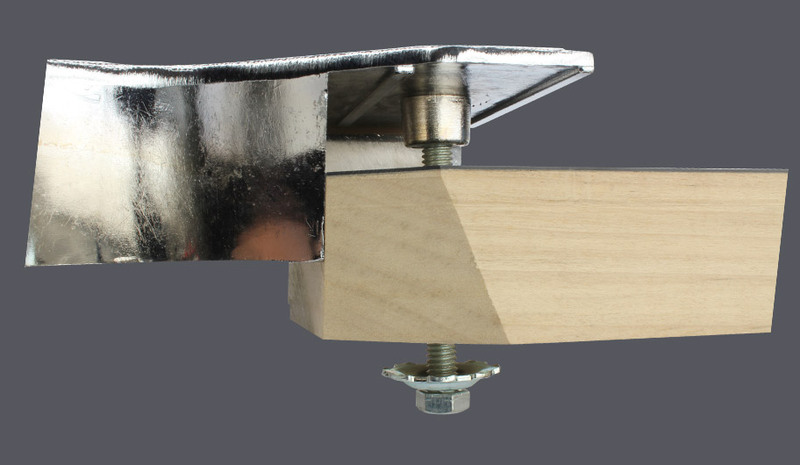 As an added deterrence to break-ins, the internal cash box housing is also constructed of heavy gauge sheet metal and features a separate lock. 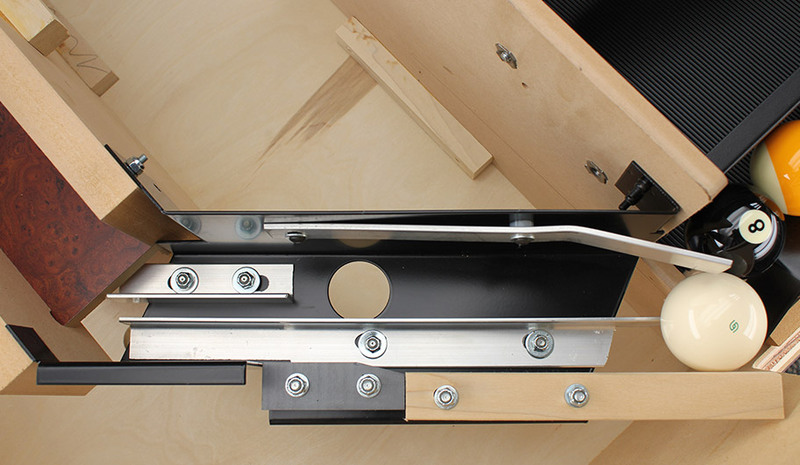 Reinforced ABS molded legs feature an adjustable commercial grade leveler. High quality plywood construction with a burn and scratch resistant high pressure laminate finish. 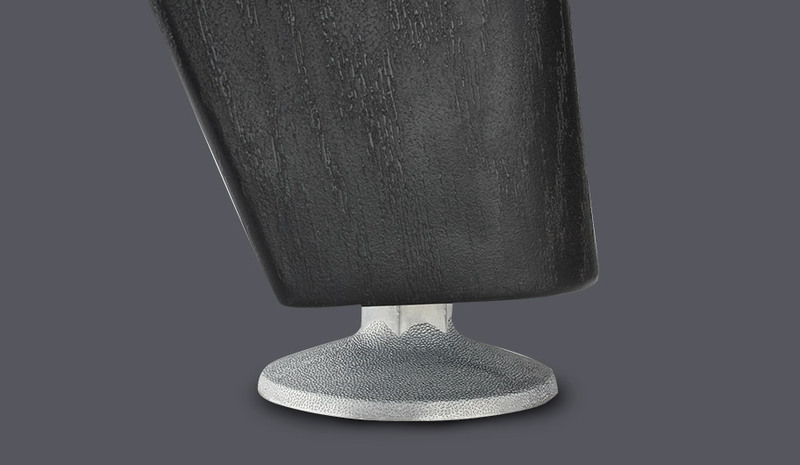 Special black textured laminate rail top for increased durability. (101cm x 203cm) 53" x 93"
(111cm x 223cm) 57" x 101"
Looking to update your coin operated pool tables for the digital age? The Matrix bill acceptor conversion kit is easy to install, delivers increased earnings, and is the most reliable and advanced system for coin operated pool tables on the market. Your upgraded bar pool tables will earn like new electronic models, and at a fraction of the cost of a new one. The conversion kit is available in both Matrix and Matrix DUO versions, and updates Valley, Dynamo, Great American, Global and now, Diamond Smart tables. Every Matrix kit is made with only the highest quality components like a MEI or ICT bill validator, Imonex coin acceptor, backlight LCD graphic display, and state of the art printed circuit board. Call our factory at (800) 987-6040 for more details.